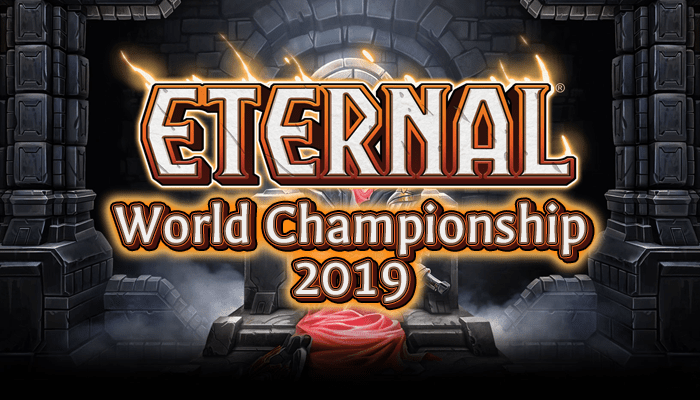 This past weekend I had the pleasure of playing in the Eternal Tournament Series Invitational for the first time, and after some long testing, tight play (until game 5 of the Grand Finals), and good fortune, I came out on top – Season 6 ETS Invitational champion! After winning the Last Chance Qualifier last Sunday, I knew I had some work to do. Xenan was no longer going to be an under-the-radar choice, and the meta was going to be adjusting to it. I figured Argenport and Armory would be the two most popular decks, and suspected team OND might bring TJP midrange after its success in the Team League finals that had occurred concurrently with the LCQ. I decided to focus my testing on those three decks and Xenan. Huge shoutout to Tixij, aReNGee, Sir Rhino, and Gabe (Calimdir) for playing with me all night on stream Wednesday and Thursday and playing whatever I told them to play game after game – I couldn’t have done it without all of your help. Extra special shoutout to Tixij, who put in over 5 hours Wednesday night. The matchup experience and advice on deck selection was invaluable. The full VODs of the testing streams can be found here and here. On Wednesday, I identified Burn Queen as a deck with favorable Armory and TJP matchups, and the Argenport matchup was surprisingly good-feeling. Bartholo into weapon wasn’t coming together unopposed nearly as often as I thought. Despite a poor Xenan matchup, Burn Queen was my favorite going into Thursday’s testing. I’ve never been a fan of Deathstrike in Stonescar aggro, but it seemed necessary for Bart and Tavrod and wasn’t completely atrocious elsewhere. I cut an Obliterate so as not to keep the curve too high. Cinder Yeti was also amazing, and I’d want the 4th copy in the sideboard for decks like Feln and Combrei that want to block. Thursday I jumped back into Xenan, and initially was getting destroyed by Argenport, which was an automatic disqualification in my mind. Later in the night I hammered down a good sideboard plan and brought my record in the matchup from 3-14 all the way to 10-15, so I felt pretty good. Aside: I think matchup percentages are way overrated, especially for small sample sizes like this. Whether you win or lose the game isn’t important, how the matchup FEELS is. The point of this testing is to find out what cards are important in the matchups, what turns and situations are the key break points, and what sideboard cards are worth bringing. If a set is like 10-0, sure, it means something, but I wouldn’t read into a 7-3 result too much if the ‘3’ side felt like it had a chance. 2 Dark Return main, 2 side. A lot of people swear by 4 Dark Return, but I don’t like maxing out on a card that requires so much setup. You need to have a unit in the void, have it be good in the current situation, and pay 1 more power for it. It’s certainly great with Auric Interrogator and Twinbrood Sauropod (and I go up to 4 when I bring in the Sauropods), but I like being able to curve out and play proactively game 1. 0 Twinbrood Sauropod main, 2 side. Almost every Xenan every list I’ve seen for the past few weeks has had Sauropods, and I don’t like that approach. Playing a pile of Sauropods and Dark Returns lets you grind more, but you don’t want to grind with most decks. Against Argenport, TJP, Fire aggro, and Praxis tempo is what matters and games are decided before a player runs out of cards, so you want cards that are impactful for their cost and don’t require setup, which Twinbrood fails the former and Dark Return the latter. Dark Return/Sauropod is great against Armory, but you’re already a massive favorite there, and good in the mirror, but I didn’t expect the mirror to be that popular. Other decks where you would want to grind, like Big Combrei and Feln, can frequently go over the top of infinite 6/5s for 5 anyways. Sauropod is good in the mirror and against decks no one plays like FJP control and pretty medium elsewhere, so I included the impactful card (Predatory Carnosaur) instead. As loathe as I am to admit it, sometimes it’s better to just murder people than to draw more cards. 31 total power, 1 Seek, 4 Amber Monument. I wanted 31 power with the Carnosaurs main, and that decision also freed up more sideboard slots. Xenan is very flexible and more sideboard slots are very valuable. I wasn’t even able to fit in Steward of the Past, for instance, opting instead for Lethrai Falchion since I thought Stonescar would be more popular after I tested it and found it so strong. Four Amber Monument is a lot, but a power/5 strength overwhelm unit is such a strong split card that I wanted as many as possible. Xenan has enough 3 drops that you don’t usually have to skip a turn to play the Monument depleted. 4 Deathstrike, 2 Xenan Obelisk. This was another concession to Argenport and Stonescar, as Xenan Obelisk is really clunky in multiples in matchups where tempo matters. I added the third Obelisk to the board for Time mirrors, where it is quite good because value and unit sizing are more important. 1 Infinite Hourglass. I know I pan this card a lot, but it is quite good against TJP’s Permafrosts and Crystallizes. By putting only a single copy in the sideboard, I guarantee I will never draw multiples or draw it in a situation where it doesn’t brick multiple cards in the opposing deck. It paid off for me in spades in an extremely TJP-heavy field. Alright, I got the matchup I prepared for round 1, but not in the hands I’d like to see it in. Unearthly is the best tournament player in Eternal. You can’t be the best unless you beat the best, though, so I just played my own game. Game 2 was cut off in the video, but I got stuck on TTS influence with six double Shadow cards in hand and died quickly. You didn’t miss much. The matchup played out exactly how it had in practice, I didn’t sideboard anything, and I was on to round 2. Armory is one of the best matchups for Xenan Interrogator – Dawnwalker, Ayan, and Banish a night mare for the relic weapon deck. Fulls sets of Banish and Deathstrike clean up the Statuary Maidens and Tavrods, so Armory doesn’t have an advantage on any axis. Postboard I get to bring in Twinbrood Sauropods and max out on Dark Returns, so the flood of fatties never stops. A quick 2-0 and I had made it out of the ‘group of death’ in winner’s bracket! The Xenan vs TJP matchup seemed slightly Xenan favored, but there are SO MANY ways for either player to get blown out and lose. Stand Together, Desert Marshall, Eilyn’s Choice, Ayan, and Banish can all be 2-for-1 or 1-for-0 trades, and that’s just at fast speed! Predatory Carnosaur, Xenan Initiation, Valkyrie Enforcer, and Crystallize can all be huge swings as well. In these matchups I was always very careful to play other units before Blistersting Waps, so that there was the best chance to provide another silence target first. The other units all have nice abilities, but have fine stats when silenced. A silenced Wasp is only a 1/3 and is pretty useless. In this specific case, I was able to come out of the gates pretty quickly both games (a silenced Dawnwalker still trades with something) and put Mouche on the back foot, then use Predatory Carnosaur and Xenan Initiation to prevent any good blocks. In one of the games, my double Obelisk at 8 power beat his triple Obelisk at 5 power. Deathstrike is fine, but costs more than everything it’s going to target with the exception of Sandstorm Titan. Banish is just better, and Suffocate does 90% of the job at a fraction of the cost. After going 3-0 with my only game loss to power issues, I was feeling pretty good about my chances. Winner’s bracket going into the top 8 is a big advantage, and I felt very good about my play on the day. Going to Kingsman: The Golden Circle with my wife finished out the night, and awoke ready to battle for the championship. Day 2 started off with a mirror match, but Thundershot’s list was a little better situated for the mirror than mine: he had four Xenan Obelisk in the main, and three of the absolutely brutal Steward of the Past in his sideboard. Steward can’t be Killered down efficiently and hoses Dawnwalkers while being a 1-for-1 at worst. Bradykin was kind enough to offer to practice with me Sunday morning, and I could not be happier that he did so (Thanks again, Bradykin!). My initial sideboard plan of trying to get aggressive to beat Steward absolutely did not work, and we found a much better sideboard plan of going big and grinding and ignoring the existence of Steward. You can always kill him and re-load the void. The match against Thundershot was my favorite of the tournament – I think I played extremely well and overcame better draws than mine games 1 and 2. Neon wrote an article about game 2, but game 1 had some good moments, too. The key point was on turn 4, when I attacked with an Argenport Instigator into an Ayan and 4 open power – Thundershot played another Ayan and blocked. If he had instead left his power open, I could not have played the Xenan Initiation on my Auric Interrogator like I did for fear of Banish or Deathstrike. I drew 5 cards off of that Interrogator, which was the main contributor to winning the game. Two turns after I Initiation-ed the Interrogator, Thundershot choose to use his Predatory Carnosaur’s Killer on my Sandstorm Titan instead of my 5/4 Interrogator to allow him to get in an attack with a Twinbrood Sauropod. With a Dark Return for Sauropod or Carnosaur in his hand, he could likely have won the value game and didn’t have to get so aggressive. A couple turns later, he opted to play a Twinbrood Sauropod instead of killing my Interrogator again, trying to burn me out with my own Interrogator. I won this game because I assessed my role better. Yes, I topdecked a removal spell the last turn to win the game one turn earlier, but I sculpted the game to get to that point. Fortunately all of my sideboarding practice didn’t matter, as I had a great draw game 3 to move onto winner’s finals. Another TJP, but a little worse for me since DeFTeR had Reality Warden in his sideboard, which can be a pain. It’s not a like a 7/7 is just game over, as Xenan can go around or suicide a unit into it then Killer it down, but it is quite annoying and shuts down Dawnwalker recursion. I had nice, aggressive Dawnwalker and Argenport Instigator draws in the first two games, got crushed by fliers and Reality Warden in games 3 and 4 (the turn after I used my Deathstrike! ), and it came down to one game for a huge advantage in the grand finals. I opted to only attack with Dawnwalker first to see if Defter had a Desert Marshall. With that eliminated, his fast spell has to be Stand Together or Eilyn’s Choice. The Xenen Initiation had no pause, so I knew the last card was not Stand, so I knew my Suffocate was safe. Since everything in TJP dies to Suffocate except Sandstorm Titan, i just Killered the student right and saved my Suffocate so that I could attack for a very relevant 2 damage with the Wasp the next turn. It all worked out, and I took a close match 3-2. I won a game in each set of the grand finals due to power issues from TJP, but that’s the inherent inconsistency of playing a 3 faction aggressive deck. The first major mistake of the tournament I made was in game 5 set 1 when I didn’t use my 5/5 Killer Ayan on Siraf. I have no excuse; that was just an awful play and I got punished by Siraf activation into Prophetic Stranger. Karma for the time I got Icaria off my Siraf to get out of an Azindel’s Gift/Last Word lock against Elunex, I suppose. WifeOutAce came in with the clutch assist between sets with a plate of spaghetti squashta with beef, tomatoes, and zucchini. Fueled up and refocused, I jumped in to win this thing. Mouche attacked with both units, indicating he obviously had another Auric Runehammer in hand. I was super afraid of Stand Together, and chose to block Desert Marshal and blow up the Auric Runehammer with my Banish so I could attack Mouche down to 3. After talking about this play more, I believe it was a mistake. I win from this spot with the play I made by drawing another unit or removal spell and winning through having a wider board. Given that Mouche had 3 unknown cards, he probably won’t lose to me going wider than him, so I can’t beat Stand Together here anyways. I should have just Banished the Student, taken 2 from Marshall, and raced. Mouche would have very quickly been forced to chump block every turn with useless Hammers in hand. I Banished the Obelisk here after Mouche blocked Instigator, knocking him down to 13 in hopes I could swarm wide around his Student. I could have made the trade and Banished Student, which leaves me with Titan and Ayan units against only an Obelisk. This would be better since Student can eat Titan next turn with the play I made and leave me with only a couple 3/3s against a 6/6 or bigger. Here, I opted to Initiation my Titan and kill the Kothon before it could Ultimate. If I attack with everything, I basically trade Titan for Kothon and get in 3 damage. By killing Kothon, I take away the guaranteed unit for Mouche next turn, allowing me to attack with everything and win if he whiffs on his draw, and play Titan and see if he whiffs the NEXT turn if he does draw a unit. Even if he draws units for 3 turns in a row, I am one power away from Carnosaur clearing a unit while developing one of my own. Basically, I just had to get two units ahead for one turn to attack for lethal, and Initiation gave me the highest chance of getting ahead by two units. Mouche whiffed, and I won the tournament. Feels good, man. Feels really good. I kind of pulled the backdoor into worlds – winning the LCQ and then the Invitational with no previous top 8s is pretty crazy – but I think I earned it with solid deck choices and good play (until the end of the finals). You’ll certainly be seeing more of me at worlds. Thank you for all of the congratulations, analysis on lines of play after the fact, and kind words. Next Post: Drafters’ Corner: First Impressions on Balance Changes (Draft)!